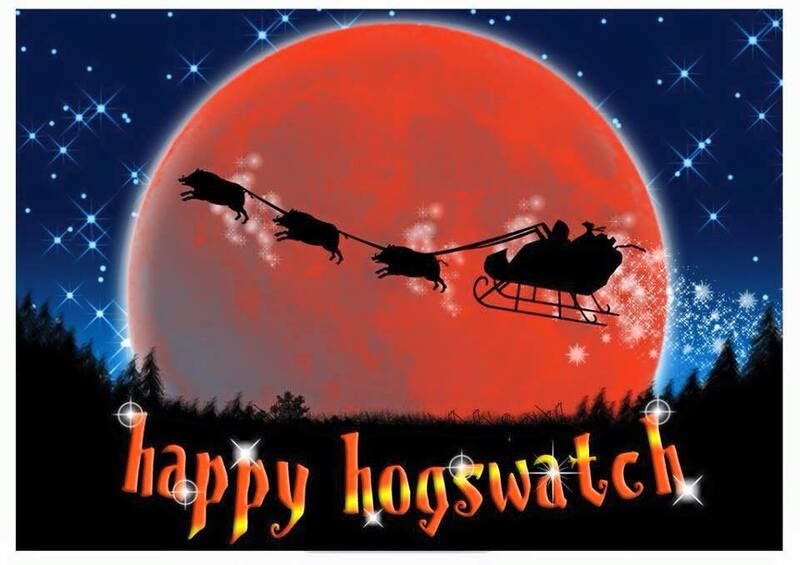 On the weekend the family headed off to our First Hogswatch in July. What’s that I hear you ask? 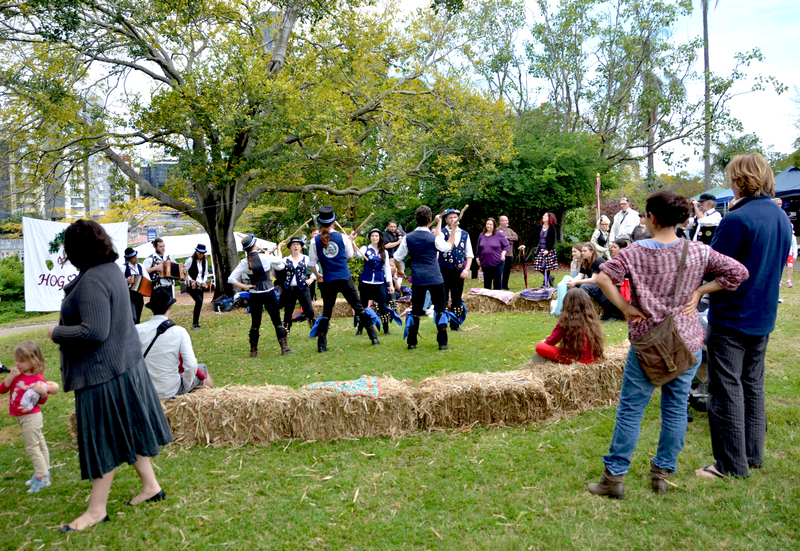 It’s an annual festive village fair run by Brisbane Arts Theatre (since 2013) based upon the Discword novels of Terry Pratchett. 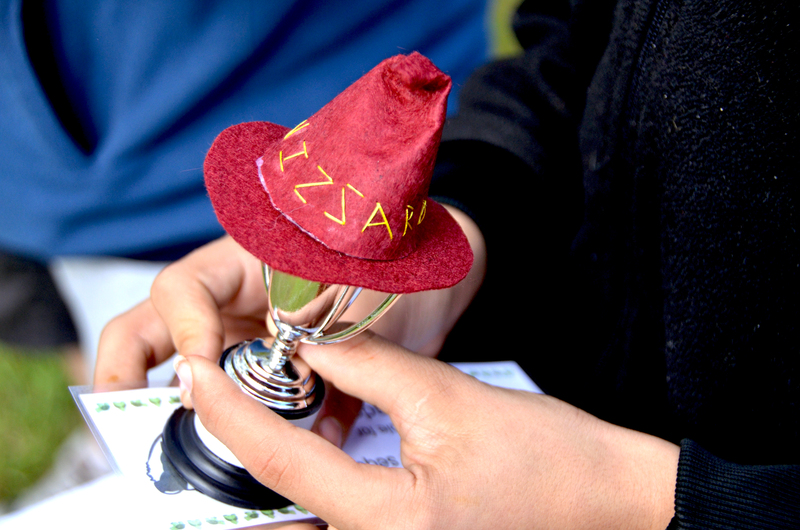 This year they used the Pozible Platform to raise some funds to hire a petting zoo, trophies for prizes (hammer throwing,cabbage throwing, costume and obstacle race). 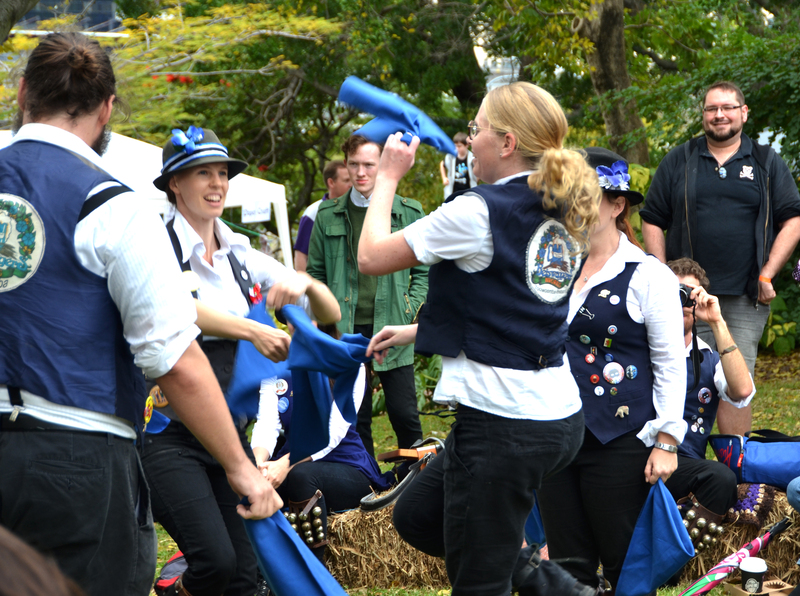 It’s great that they did because it didn’t cost anything to enter the fair, watch the Morris Dancing or enter any of the competitions. They were also sponsored by a few organisations, and I just loved that one of the sponsors was a Funeral place! Classic and in keeping with the novels. Brisbane Arts Theatre is Brisbane’s home of the performing arts, with a long history of staging adaptions of Sir Terry Pratchett’s cult Discworld novels. 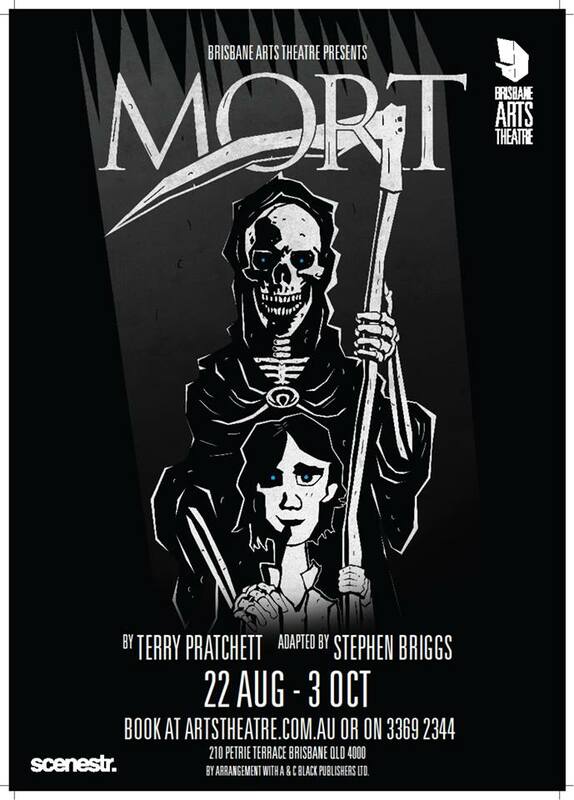 Later in the year they are staging Mort (22nd August -3rd October). These novels are set in an alternative reality where the world is flat, resting on the shoulders of four cosmic sized elephants standing on the back of an impossibly large turtle swimming through space. 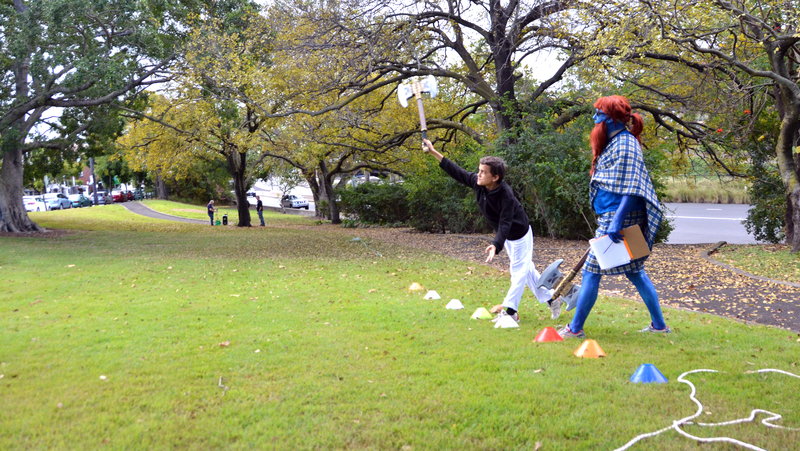 The absolute highlight for my children was the Weefreeman signing them up for the axe throwing competition. My youngest ended up winning the junior section in a play off of a tied place. Exciting stuff. 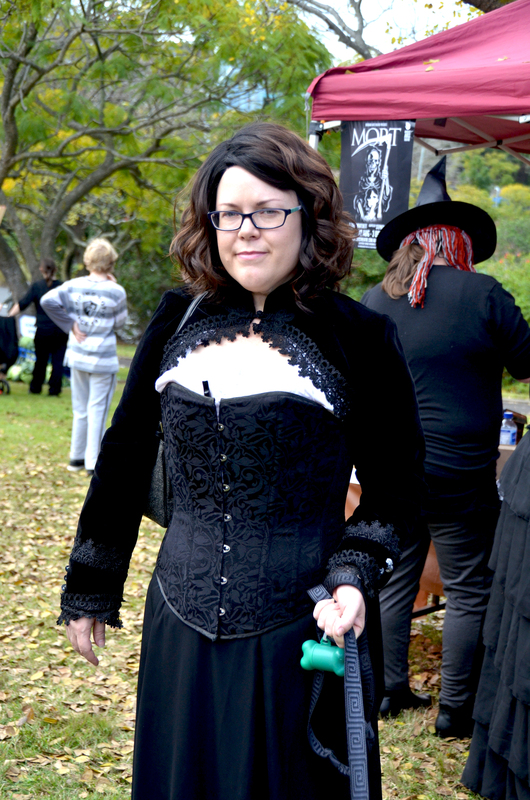 As for my daughter she loved the steam punk inspired clothes and jewelry and enjoyed buying up at some of the stalls (goggles was the main thing she acquired). We didn’t stay for the whole day, but there was something for every age and the program ran from 10am until 4pm. 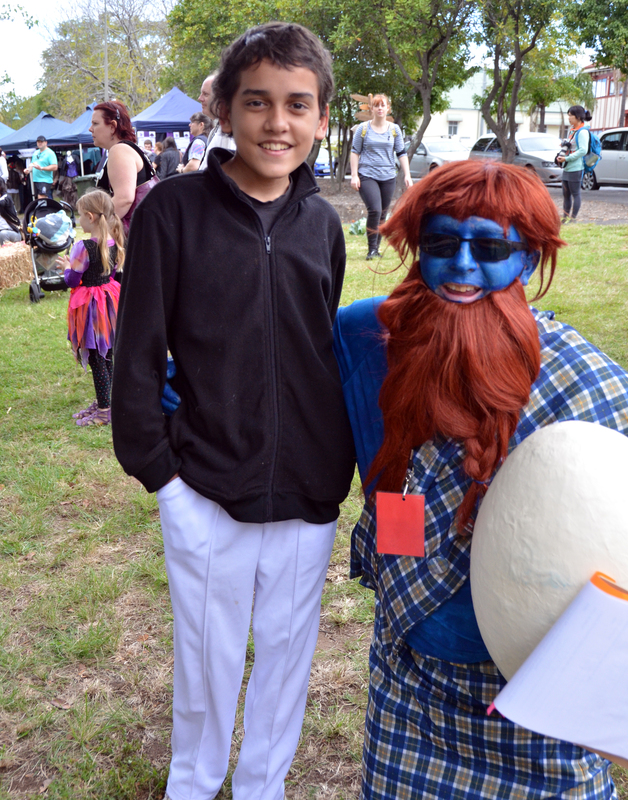 With crafts, obstacle races for Witches and Wizards, a costume competition, photo booths and a tribute book to the dear Sir Terry Pratchett. Before we left we took our daughter to have a photograph with Mort. She wore her brand new goggles! A print of this is on the way in the mail. You can find out more at their facebook and website. Mort is on 22nd August to the 3rd of October. Reblogged this on Following the Crow Song. What a fantastic day for everyone, and for a worthwhile cause. Beautiful photograghs… your son certainly looks to be enjoying himself. Recent community Event attended by our family. It was! My daughter is now working on an elaborate costume fo rnext year and really both the kids have decided Steam Punk is mega cool! Glad you “discovered” us. 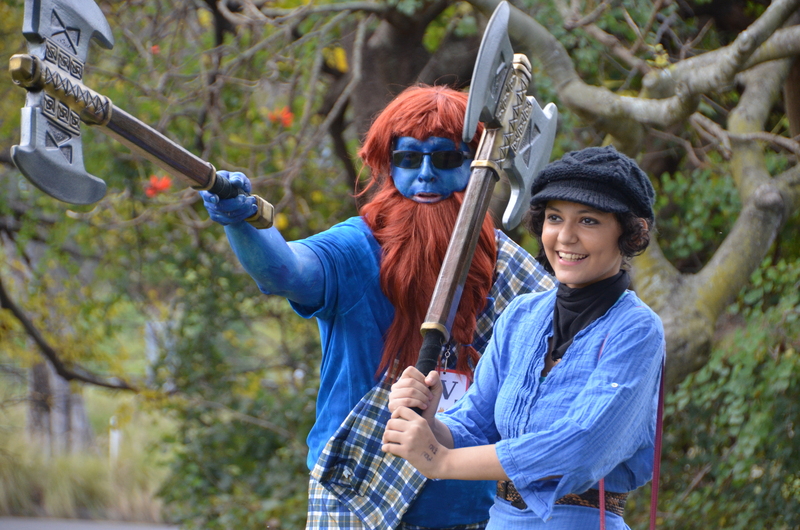 Feel free to join the Pratchett Partisans, the Terry Pratchett fan club here in Brisbane. We meet regularly. We have an excellent day coming up on 9 August. The Discworld Scavenger Hunt. We head off in groups in a set group of blocks of the city, following pages of clues from the books. You photograph the answers to the clues and meet back at the end of the hunt for prizes and drinks/snacks. It’s a brilliant day! You will be suprised what you walk past every day in the city. And if you don’t know the books they will pair you up with people who do so it’s still heaps of fun. He was a grand lad and well deserved his prize. “Twas a mighty throw 😉 Glad you all had fun and look forward to seeing you next year. See if the lad can defend his title. 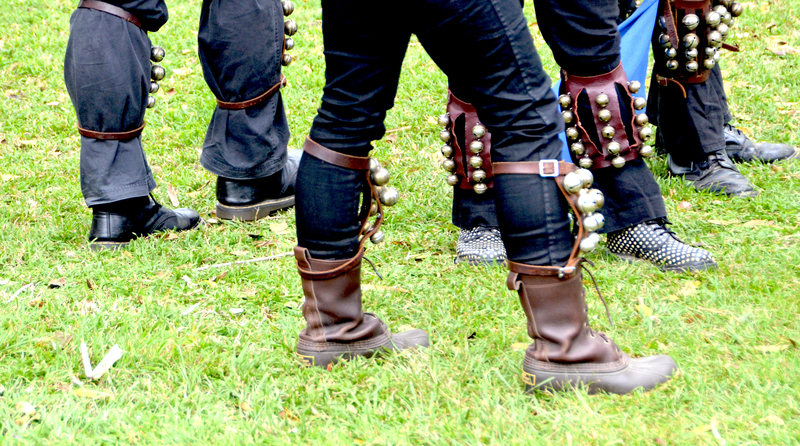 SteamDreams is a Brisbane based steampunk,social group. We meet up first Sunday of month at West End markets tearooms, opposite the Lady Brass clothing stall. Come and say hello! 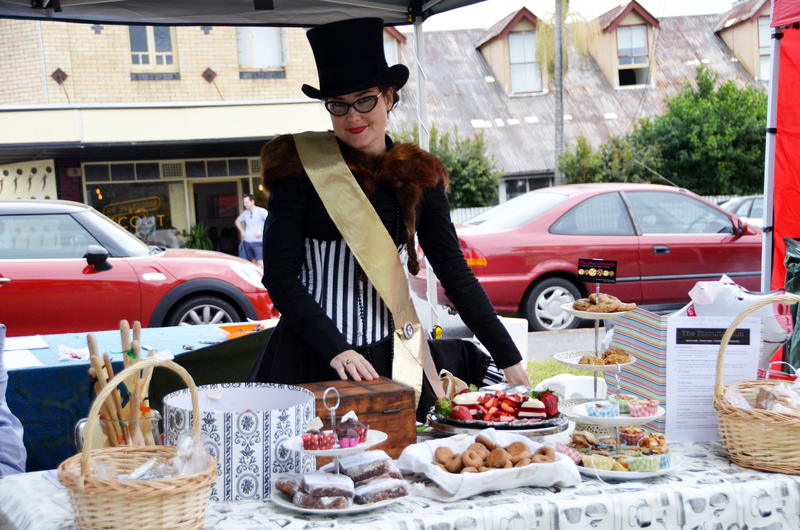 Steam Dreams – Queensland Steampunk, are having their monthly Tea Dreams this Sunday at 10am in Boundary a Street Markets, West Ends, near Lady Brass. Check out our FB page, as well. We attend many, many events. Thanks so much for that. We may well see you soon, although I think this weekend we’ve something on. I will let the grand lad know. Thanking you. In the meantime he will be getting ready via cricket me thinks. How cool. Darn it and drats I think some of us be doublebooked. Can’t wait until you have another one, maybe some of us can attend, but my daughter is going to be mighty miffed! Thanks – loved the photographs.